Homeopathy treats not only the entire body, but also has a profound effect upon the state of mind and the emotions. It is this integrated approach to treating the individual that makes homeopathy different. It addresses core issues on many levels, thereby providing a multi-dimensional method of healing. Plato (428 B.C.) has relevant advice in his quote, “The cure of the part should not be attempted without treatment of the whole”. Homeopathy’s origins date back to the beginnings of time and its principles and methods span all cultures of the world. The reason for its global acceptance is that generation after generation of people have seen how efficiently it works. One simple example is the use of sea pebbles. Naturally coated in sodium chloride would provide a cure for the symptoms of dehydration. By placing the pebble on the tongue, the saline properties of the stone would pass to the dehydrated individual and ease their symptoms, whilst treating the salt deficiency due to excessive exposure to the sun. The first person to give scientific credence to homeopathy was Samuel Hahnemann. This pioneer systematically gave potentised medicines to healthy people. The resulting symptoms were then recorded and a medicine created that would be applied to the disease condition that needed to be remedied. The medicine could then be applied in a homeopathic manner; one in which the prescription resonated with the client’s mental, emotional and physical state. Most people are familiar with the allopathic medicine approach – the opposite of that used by homeopathy. The allopathic approach treats disease by providing a stimulus to oppose the medical condition. Homeopathy, though, cures like with like. In simple terms, it uses the law of similars to encourage the body to fight its own battles. 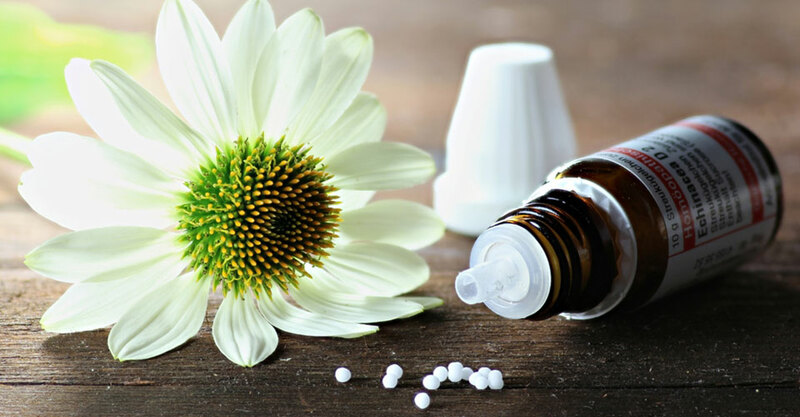 In fact the word homeopathy is derived from the Greek words meaning same and suffering – and thereby provides a clue to the way in which it works. Homeopathy provides a curative energy tailored specifically for each individual. This stimulus triggers the inborn forces of the body to heal itself. In homeopathy disease is considered to have its own cure within itself. “Many people turn to homeopathy when medical treatment doesn’t provide a cure, or they wish to avoid the side effects of drugs”. The homeopathic method most widely known is the therapeutic approach. Here emphasis is placed on pathogenic diagnosis, which leads to indicated homeopathic remedies. The therapeutic approach is perhaps the easiest to apply and for this reason is most popular amongst busy doctors who advocate homeopathy. The classical approach seeks to apply the single remedy that simultaneously heals on emotional, mental and physical levels. Past medical and psychological history can indicate via meticulous case taking, the most closely resonant major constitutional remedy. This prescription, covering totality of symptoms frequently yields remarkable results. Practitioner savvy and breadth of experience are crucial factors in employing this approach to its utmost potential. The cognitive approach requires a deep understanding of the client and how they perceive reality from their unique viewpoint, that is, inseparable from their relationship to themselves and their environment. The epidemic approach has the intention to identify an effective genus epidemicus remedy, as yet unavailable or undiscovered within homeopathic Materia Medica. The practical approach tailors the homeopathic method to the needs of each client. It combines the single remedy with further supporting remedies to assist the major organs and pathways of elimination. The sequential approach utilises a time-line of the client’s medical history as a means of restoring balance. This method is used when the orthodox homeopathic approach to treatment has not brought permanent relief – and often in situations that have been labelled incurable. The spagyric approach treats ‘complex symptoms’ and related temperaments with specially prepared complex plant remedies. The evolutionary approach is based upon practical observation, intuitive skill and experience. Its use allows new remedies that would otherwise take too long to be formally assessed to be used in the healing process. The zen approach utilises a three dimensional prescription addressing the soul, mind and body – suppression on any of these levels create many chronic or long-term illnesses. ‘Inner child’ issues often stem from outdated subconscious belief systems and feeling unloved. To all of these homeopathic treatments John Rawlings has brought the application of sophisticated computer software to increase the precision of prescribed remedies, thereby adding a new dimension to homeopathic treatment. Closely aligned with my practice of homeopathy, I offer a radionic service. A client can benefit from the transmission of a homeopathic remedy over long or short distances using sophisticated crystalline technology. The service, which requires a sample of hair called a ‘witness’, has many benefits. For example, in an emergency the client can be assisted with a remedy transmission sent to them wherever they may be. The radionic service is something which many people need to experience to be convinced about. Therefore, this optional service is offered free, on one occasion after the first consultation. Do try it. It really can add extra momentum to the healing process.